Czech Republic is always well-known for its beautiful city named Prague. But you know what, the first city I’ve visited in this country was actually Brno, the second largest city of Czech Republic. What I knew about Brno before I came there was that it’s the hometown of two international tennis players, Lucie Safarova and Lukas Rosol who are famous worldwide. 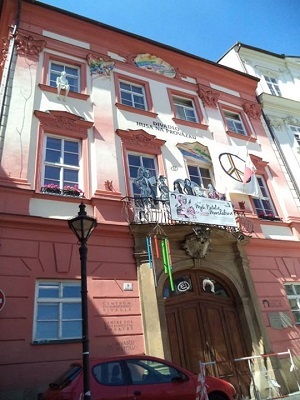 Then, when I had the opportunity to go there, I found also other good stuffs in the city of Brno. To start, the nice opportunity came when I participated in a program called Knowbrid, Bridging the Generation Gap. As its name, the program was made to bridge the gap between generations, between the younger and the older. The program was organized by Business Link from Czech Republic. While I was there, I had also the chance to look around and enjoy the city. And by the way, Brno also houses one of UNESCO’s world heritage sites, the historical building called Villa Tugendhat, which I unfortunately haven’t visited the last time and hopefully, maybe I would in the next visit. This place (Villa Tugendhat) is an outstanding example of architecture’s modern movement. The wonderful architect who designed it was Ludwig Mies van der Rohe. He started this amazing work in the 1920s and finished it completely in 1930. In addition to the wonderful Villa Tugendhat, Brno also has a great legend, which is known as the legend of Brno Dragon. They told that it was actually a huge crocodile who terrorized the city and the citizens. 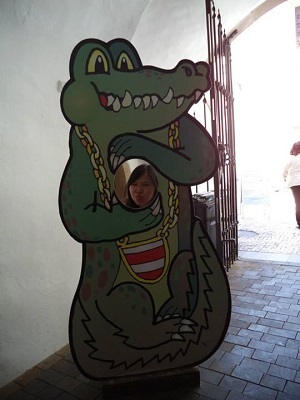 And, until now, the body of the huge crocodile is kept at the entrance of the old town hall as a symbol (the real photo is the one you can see on the featured image of this post). Moreover, when I went to a cafe with the other participants of the program and the hosts, I saw interesting offer in the cafe, which is the coffee that comes from my country Indonesia. But well, I honestly didn’t try it as I wanted to taste something fresh as it was Summer in July 2014. 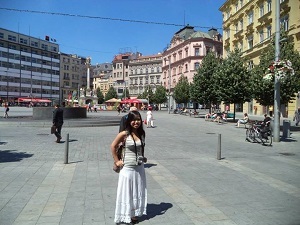 This was my quick story on the one day trip in Brno, Czech Republic. And who knows, I may return to the city to see the Villa Tugendhat in the future, or maybe, I will return to the country to visit the famous Prague.